You’re a good driver who generally pays attention to the speed limit and most often uses your blinker, even for lane changes. Yet, up behind you, seemingly out of nowhere is a police car, state patrol or county sheriff vehicle with lights flashing. Your mirror is filled with the red and blue lights of the officer’s car so there is no question his intention is to get you to pull over. Odds are your mind is quickly racing. Was I speeding? Did I roll through that stop sign? Does he think that light was red when I saw it as yellow? Why is he pulling me over? At the same time, you may consider how to best conduct yourself as you search for a safe place to pull over. Hands on the steering wheel. Check. Window cracked or rolled down. Check. Have my updated documentation with me? Check. Then there’s the challenge of containing your frustrations. “Why did he pick me?” or “I wasn’t doing anything wrong and I’m late.” or even “I can’t afford a ticket right now”. You see him approach in your side view mirror. He will usually greet you with one of two questions. The first is “Do you know why I stopped you?” Your response should always be no. Any statement to the officer can be viewed as an admission of guilt. He also may ask for your driver’s license, proof of insurance, and registration. It can, and does happen every day. While there are many reasons this can occur (outstanding warrants, unpaid traffic fines, non-payment of child support, etc.) one of the major causes is the state believes you are not driving with adequate auto insurance. If you aren’t covered to state minimums, that is on you. But what if you know you have car insurance and the officer’s automobile insurance check indicates otherwise? You’ll likely be making a call to have someone pick up your car and drive you home. Frustrating? You bet. It can be avoided, however. Does Your State Know You Have Auto Insurance? Automobile insurance companies are often eager to report to the state that your automobile insurance policy has been canceled. It is in their interest. Some states actually require they report cancellations. 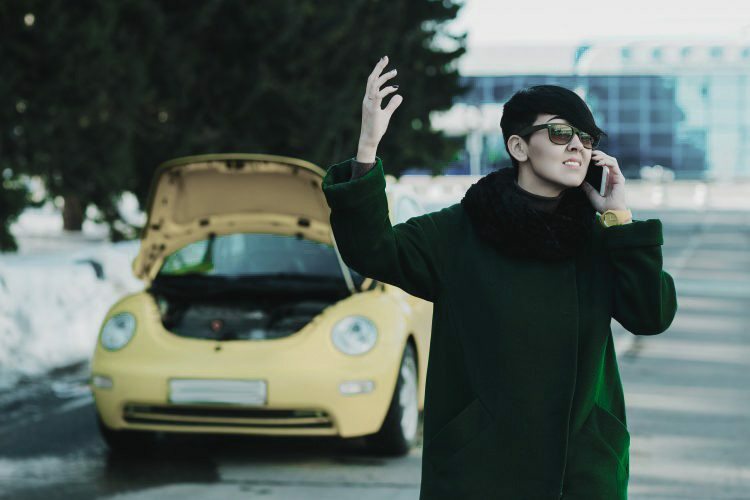 If you live in a state like Florida, however, there may be no mandate for insurance companies to report you have taken out a car insurance policy. If you have changed automobile insurance companies, for example, this makes it a possibility your state shows that your policy is canceled, without an indication that you secured new coverage elsewhere. That is why it is important to not only ask yourself the question “Is my car covered with insurance?’ but to find out if your state has updated information that will verify your coverage. Today, most states provide the ability for you to check your driver’s license status and vehicle registration information through an online system provided either through the State Highway Patrol, Department of Transportation or another official state resource. You will be asked to provide information like your Vehicle Identification Number (VIN) from under your driver’s side windshield, your driver’s license number, and perhaps other information to verify your identity. These systems will generally give you the information you need about your driver’s license status, registration information, and even how the state views your automobile insurance status. If it is unclear or inaccurate, you can correct the problem before it becomes an issue when taking your boss to lunch for his birthday. Keep in mind, it is not enough to believe you have coverage. It is more an issue of the state knowing you have coverage. Check your automobile insurance coverage, license status, and registration information online. Today, it is relatively easy to do and it just may prevent an inconvenient, surprising, and potentially embarrassing traffic stop. Wow, this is fabulous information – I had no idea that this could even be an issue. I haven’t been stopped for a while, but it pays to be prepared “just in case” and the advice in here is terrific. I wonder how often problems like this occur! Thanks for joining the discussion Mona. Unfortunately situations like this occur all too frequently.